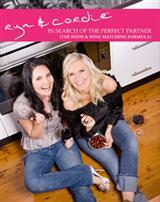 Plus we have a foodie masterpiece to give away – the only free copy worldwide! Welcome and a Happy New Year, or Gong Xi Fa Cai, to all our subscribers, new and old. 2011 hasn't exactly got off to the start that everyone in Australia had hoped for, with floods, a massive cyclone and lots more rain than many wanted, especially some of our farmers and vignerons. If you were amongst those affected, our sincere commiserations – our thoughts are with you, and please remember you are not alone. However, out of these disasters has come genuine Australian goodwill and a huge sense of community spirit, as people have rallied to help each other, often total strangers. The incredible generosity of the Australian wine industry has seen over A$240,000 worth of premium wines donated. 200 prizes are up for grabs, ranging from a first prize worth approximately A$33,000, 2nd prize worth A$20,000, through to 150th to 200th prizes being parcels of lovely wines valued at around A$500 each. We've dusted off our 'online raffle ticket generator' that we built for the 2009 bushfire appeal raffle (ironically, almost two years ago to the day), negotiated with our bank the ANZ and our payment gateway eWay to reduce or donate their fees to the appeal, sourced the assistance of a generous-hearted and efficient PR company, KDJM Communications , and thanks to the gaming legislation in our home state of Tasmania, were able to assist 'Team Tyson' in bringing this raffle together in around 3 weeks. You can read more about the amazing prizes below – suffice it to say that there are some unique and otherwise unprocurable wines amongst them. My favourite is the series of 4 bottles of Seppeltsfield Para Tawny, dating from the Queensland flood year vintages of 1893, 1916, 1974 and 2011. This set will become a collector's item in itself. Thank you to those who have already purchased tickets and contributed to this appeal – we sold nearly A$20,000 worth of tickets on the first day. However, we need to keep it coming please; tickets are A$30 each (click here to buy) and I'm eagerly awaiting the first person to buy a batch of 100 (the first ten who do receive a free case of mixed Barossa wine show wines). We want to sell 33,000 tickets online by 11th March, and we need your help. With only 40,000 tickets, and 200 prizes, your chances of winning are good. Please invite your friends – share the news with your friends, family, at work, on facebook, twitter, by email, at the pub. Get a group together. Please donate; many, many people need your help. One of our subscribers won the bushire raffle in 2009 and took home first prize of A$25,000 worth of wines – we're hoping to repeat that in 2011, and help to raise A$1 million to help those in need of personal assistance in the process. While waiting for the draw (which will be conducted under independent scrutiny in our offices on 11th March 2011) we invite you to browse our newsletter below, to discover what's on in the world of wine, food and culinary travel in Australia and beyond. One thing's for sure, in 2011 we encourage you to consider holidaying in Australia – Vienna can wait for you, but some of our hard-hit tourism operators, vineyards, restaurants and accommodation providers cannot, especially in Queensland, and need your patronage this year, please. Perhaps we'll see you there! In what we believe is the largest charity fundraiser in the history of the Australian wine industry (if you know of a larger one, email and tell us ), over 300 wineries, vineyards, publishers and wine-related businesses have shown amazing generosity and dug into their cellars to raise A$240,000 worth of prizes in just 3 weeks. The wine donations were organised by Brisbane-based Tyson Stelzer and his team, who were able to observe first hand the devastation in Round I of what has become a string of natural disasters, initially affecting South East Queensland and northern NSW. 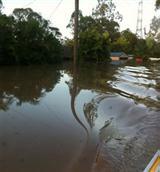 Then came floods in North West Victoria, parts of WA, and northern Tasmania. Cyclone Yasi hit Far North Queensland. As I write, the tail end of the cyclone is causing Round IV, lashing much of Victoria. In the midst of this was a bushfire in south west WA. And summer (or the cyclone season) isn't over yet. It's time for us all to help – the scale of devastation is larger than any community (or even a State government) can cope with alone. It's especially affecting our farmers. We're all going to feel it, in the price of our food and other ways in the year ahead, so let's all help to rebuild sooner rather than later. What a wine lover's feast the prizes are. First prize is worth a whopping A$33,000, and includes a $5000 holiday for 4 people in the Barossa Valley, courtesy of Orlando. We think you'll need this holiday if you win – the array of wines you'll soon have arriving is simply incredible. So, what are you waiting for? Your donation will make a REAL difference. Drawn 11th March. The raffle will be drawn in our offices (by an independent third party) on Friday 11th March – two years to the day since the bushfire raffle. So make it your lucky day and buy up big now. Does five fabulous days staying in style at Must and experiencing the wine and food of Margaret River with personal tours and tastings, vineyard and boutique brewery lunches and more sound like your type of holiday? You'll visit some of the best producers and enjoy their hospitality: Voyager Estate, Leeuwin Estate , Cowaramup Brewing Company, Settlers Tavern and Yahava KoffeeWorks . 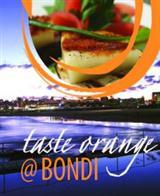 There's also complimentary entry to four main attractions – Jewel, Mammoth and Lake Caves and Cape Leeuwin Lighthouse. Essential Wine Touring Map of Margaret River. This competition closes on 28th February. We'll sure be giving away a lot in March! One of the most exciting wine books to cross our desk recently is the fabulous Daring pairings by Master Sommelier, Evan Goldstein. 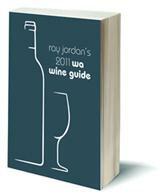 Focussing purely on new or emerging grape varieties and matching them with recipes from thirty-five of Evan's favourite chefs, this is a book for those looking beyond vintage guides. Read barbera and tempranillo excerpts below as well as food pairing and recipes in our Food and Cookbook section of this newsletter. Tempranillo is Spain, and Spain is tempranillo. 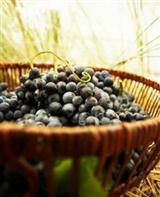 Though grown in other parts of the world, Spain is its geographic and spiritual home. 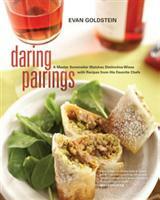 Pairing food with wine has never been easier with Daring Pairings by Evan Goldstein as a guide. 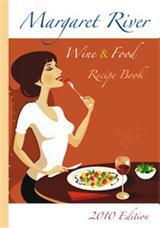 Excerpts below from this book give us wine and food pairing ideas as well as fabulous recipes for the perfect match. 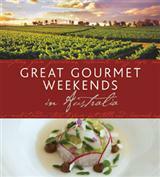 In addition to the fabulous Margaret River five day gourmet holiday, we have even more wonderful prizes to be won. It's an absolute pleasure to bring these to you and we know the winners will all share that pleasure! 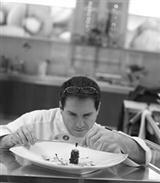 The New Renaissance of Italian Fusion Cuisine 1.0: win a deluxe, limited edition of this culinary work of genius by Michelin-starred, Italian Executive Chef Gianfranco Chiarini, valued at approximately A$295. THIS IS THE ONLY COPY OF THIS BOOK IN THE WORLD THAT IS BEING GIVEN AWAY. The prize shelf update: Winners really are grinners and we have finally cleared the prize shelf for last year and made some people very happy! Please check the winners page for your name. 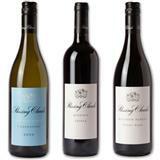 If it's there, then email Kerry@VisitVineyards.com with your prize details and postal address to arrange delivery. This month we celebrate Victoria’s hidden gems – those businesses off the beaten track who rarely receive the recognition due for the long hours they put in and the fine produce they turn out. On the way to Wilsons Promontory and only a half hour from the RACV Inverloch Resort, you will find Windy Ridge Vineyard and Winery. Run by Graeme and Georgia Wilson this boutique winery offers visitors the opportunity to truly get in amongst the action. 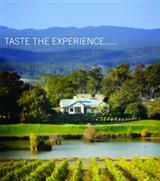 Visit RACV.VisitVineyards.com/Save for the full list of over 50 great discount offers for RACV* members. 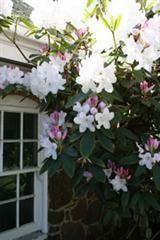 Do you know a great hidden gem? Is there a business you'd like to see in this program (perhaps your own), or another state that you think should join? If so, please email Sara, our friendly Victorian Alliance Manager with your suggestions. 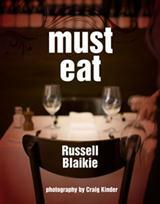 Carry an RACT or other motoring organisation's card* and travelling Tasmania? Whichever direction you head in Tasmania, there are special discounts on fine wine, tasty cheese, hand-made preserves and much more – just make sure you’re carrying your card from RACT, RACV or other motoring organisation. 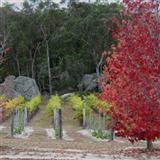 Pooley Wines : a must visit cellar-door at the historic property Belmont in Richmond. 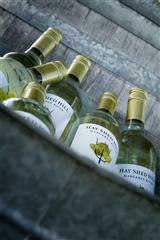 Taste their award-winning wines including pinot, riesling, pinot grigio and cabernet merlot. If you can’t choose between them, then why not buy one of each with a 15 per cent discount! Josef Chromy Wines and Vineyard Café: enjoy the tranquil country setting overlooking a picturesque lake whilst sipping on an award-winning wine matched with delicious food. What could be better? 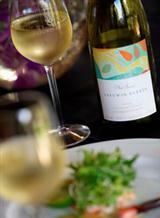 Add in a 10 per cent discount on your meal and a 15 per cent discount on the wines you buy at the cellar door to top the day. The River House : ideally located just minutes from Launceston, the River House is the perfect base for exploring the surrounding vineyards in the Tamar Valley and North East. A B&B offering country luxury on the river-front with captivating views, warm hospitality and 10 per cent discount on accommodation. Cable Station: stay, dine and save 10 per cent when you visit the historic fishing port in Stanley. With fresh seafood, Cape Grim beef, lamb and most of the state’s vegie crop at the doorstep, you’re guaranteed a fresh, seasonal dining experience. When dinner’s done, there’s a stylish, comfortable room awaiting. White Sands Estate and Providore : beachside on the stunning East Coast, White Sands is family friendly and offers RACT members a 10 per cent discount on accommodation plus you save the same in Providore , their store full of all things Tasmanian. This is just a sample of what’s on offer now for RACT (and visiting AAA*) members in Tasmania so check out the full list on RACT.VisitVineyards.com and head in any direction. 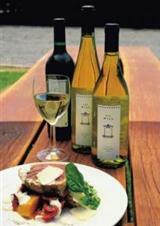 Your favourite winery or restaurant not in the program? Please let us know, or if you have a business in the food, wine and related industry and would like more information, please email our friendly Alliance Manager, Kerry Scambler. Holidays may have come to an end, but some of the biggest events and festivals on the food and wine calendar, as well as Valentine's Day and Chinese New Year, are about to start. With floods, cyclone and now major bushfires around Perth, many events have been cancelled or moved, so please check before attending. Now is the time to get out and support those in wine and food country and along the way we're sure you will enjoy some of the best food and wine on offer in Australia. The 8th February 2011 is a big milestone for us in VisitVineyards.com – our oldest Member, and long-term supporter Dame Elisabeth Murdoch, turns 102. Always generous, Dame Elisabeth is well-known as a benefactor of many charities, hospitals, the arts and other causes. She is also hugely supportive of our rural industries, and is devastated by the damage causes by the recent floods and cyclone. 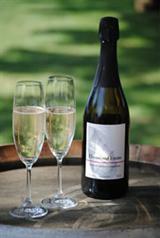 Please join us in a toast to the ongoing good health of a remarkable Australian woman. 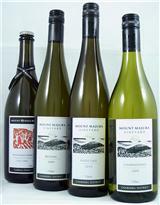 The Dame might suggest a fine Australian riesling, such as one of her favourites, Delatite. In another milestone, we recently welcomed our 30,000th subscriber. Congratulations to Mr N Martin of Redfern, NSW, who will shortly be receiving a case of delicious Appellation Ballarat Pinot Noir. Another case will find its way to Mr R Pleydell of Endeavour Hills in NSW, who was randomly chosen from among our existing subscribers. Enjoy! 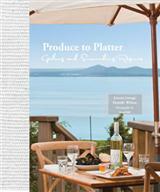 Or a free copy of Tasmania 40 Degrees South to find out more about our Island State. Until next time, best of luck in our Margaret River gourmet holiday competition above, and wishing you all better weather for the rest of February. Don't forget to buy your raffle tickets! 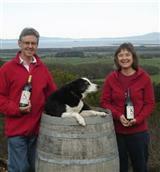 This email was sent to by VisitVineyards.com - PO Box 488, North Hobart TAS 7002, Australia.